You Submit a file (artwork) that you want us to convert to vector (print ready). All Files Accepted - including JPGs (Jpeg), PNGs, Word, Scans, PDFs, Sketches - and more. We convert any image to vector including jpeg to vector, jpg to vector, jpg to eps, jpeg to eps, logo to vector, scan to vector and sketch to vector. Basically anything to vector. Our experienced designers will take your submitted file and MANUALLY CONVERT to Vector. We can make Changes to your artwork at no extra cost. We email you Free Proofs to check you are happy with our work and will continue sending you Free Proofs until you are happy. When you are happy with the proof, we will email you a Print Ready Vector as an EPS file. We can also send you other file types, such as PDFs, AI etc at no extra cost. All Simple and Medium Redraws are backed by a 100% Money Back Guarantee if you are unhappy with our work. 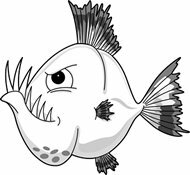 "We ordered a vector conversion and were extremely happy with the service provided. delivery time as requested - same day - and response to communication was clear and helpful. would recommend and use again." What can you send: We accept all files including scans and photographs. Your file(artwork) can contain at most 1 image, possibly with some text. For sketches, use the Medium Redraw service. For faster delivery, use our Express Service. A Free Proof for you to check. A Print Ready Vector as an EPS file. We can also send PDF, AI and other file types on request at no extra charge. Your file(artwork) can contain a detailed image (including any text). For more complicated artwork, request a Quick Quote. Below, you will find some mini case studies on vector conversion work we have done for our customers. This customer produced a sketch that needed to be neatly redrawn as a Vector. They also indicated that certain countries had to be emphasised in the same style of the sketch. The MLC lettering had to be redrawn exactly - with the other lettering using a similar font. This gas fitting company came to us requiring a logo to be printed on to a black tshirt. Their printer was going to print it using just the white colour. For legibility, we advised removing the canister that you see in the raster image. 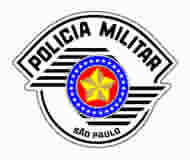 The final vector was supplied in white, against a transparent background. This company wanted their logo silver foiled on to their product. Their printer requested that they send them a vector to carry out the foiling. We consulted with the client to make sure that both parties understood exactly what had to be foiled and then redrew the vector accordingly. All the black colour you see in the vector conversion had to be foiled. This company wanted to create some trophies with their logo etched in to them. We redraw an outlined version of their vector. The black outlines you see are what the needle follows to perform the etch. This customer created a sketch of their logo, cut it out and then stuck on the gold leaf. They wanted a redraw, with the text using the closest font to their hand drawn version. The gold leaf, they wanted in a specific golden brown colour with a gradient fill. 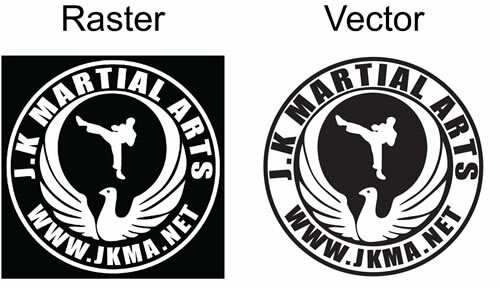 This customer wanted their logo converted to a vector, retaining the detail you see in the original raster. This company teaches martial arts and wanted their logo printed on to their white uniforms. We inverted the colours while redrawing the image as a vector to guarantee that it prints correctly on to a white uniform. This customer wanted their club logo sublimated on to a tshirt with the beard changed to a colour that was subtly different to the Viking horns. The vector conversion shows the final result. This company had a crest that was over 100 years old. 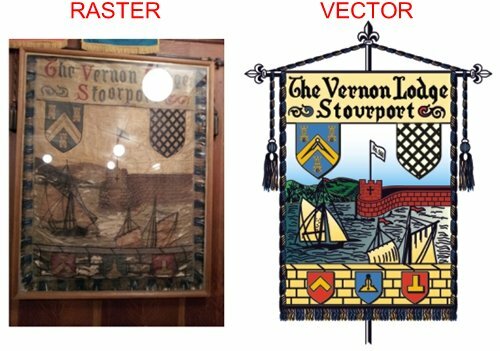 They wanted it printed on to a fresh banner so that they can put the current (weathered) crest in to storage to keep it from fading further. 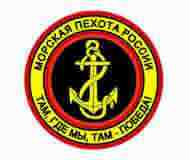 They supplied us with this photograph and close up shots of specific elements of the crest. They also wanted some numbers added on to the flag that you see above the castle turret, but retaining the same curvature of the flag so that it didn't look out of place. On the right, you will see the result of the vector conversion. This image to vector conversion was requested by an artist who hand sculptors stone. The traditional way is to take a big rock and start from fresh - without any template. He wanted this image redrawn to a line drawing which he was going to use as a template by printing it on a poster, sticking it on a rock and cutting out the outline. Once the outline was cut out he would then chisel the design. This reportedly saved him a long time and allowed him to compete in this competitive area. This school wanted their logo etched on to their main doors. We were commissioned to convert the raster of their school logo into a vector line drawing that the etching company could use to etch the logo. The etching needle would follow the outlines to create a perfect etch of their logo. This work was carried out by the designers that specialise in creating outlines for etching and engraving. 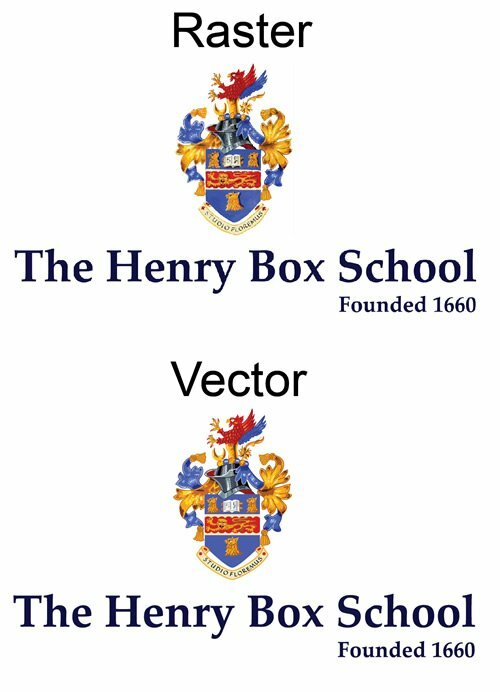 We were requested by the school to convert their logo in to a vector so that they could use it for any future print work. This was an intricate conversion that required use of tools that got the gradients/lighting seen in the original raster correct. The customer had drawn a coloured sketch that they wanted an outline to be created, with some changes (removing the tree, extending out the shop sign, adding another item in the shop window etc). As they now have the vector, changes can be made very easily - for example, changing the window display. 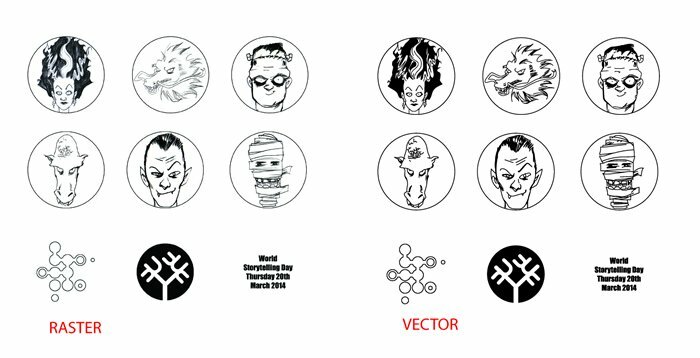 This company wanted to create some stickers for halloween but couldn't find the vector versions. They used our vector conversion services to redraw this bitmap to a vector. 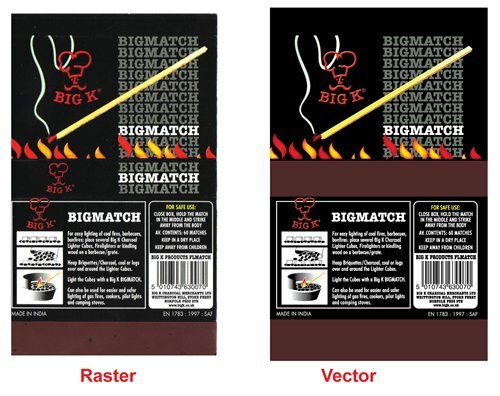 This company produces extra long matches and charcoal for the UK market. They litho print the packaging in India but the plates had to be replaced. They didn't have the original file and wanted an exact redraw with a small change - including making the colours match as close as possible. The packaging (with a few matches - thank you!) was posted to us to make sure we didn't miss anything. The vector conversion was done in 2 stages - the first stage was a standard redraw using the scan. The second stage was to modify the colours to match the ones in the original packaging as close as possible. The final vector was then supplied to the company - who asked their printer to run a few copies to produce a 100% colour match (as a 100% colour match can only be done at the printing press). We received this sketch from a very talented illustrator that was setting up a new jewellery business. Their brief was to convert their logo to a vector so that they can use it for print, t-shirts and other items to market their brand. 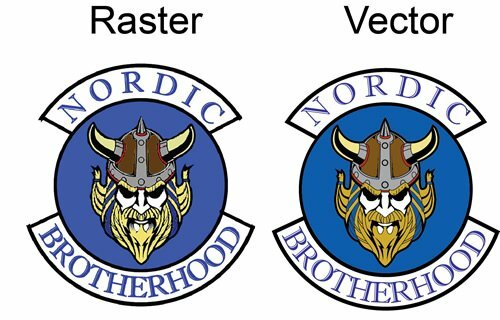 Our vector redrawers, redrew this by hand making sure that it was extremely accurate, compared to the raster the customer supplied. We received this artwork from an engraving company to convert in to a one colour line vector which they could then use to engrave in to wooden ornaments. As with all vectors made for engraving, the needle follows the black lines to carve out the required shape. The friend of a supermodel came to us requesting the image to be redrawn as a slightly abstract piece which would then be printed on to t-shirts as a gift for her. We emailed him some different styles which resulted in him choosing a single tone image. The vector is the result of the work we did to redraw the image. We are based in London (UK) and produce high quality vector graphics for printers and businesses all over the world. We have redrawn vectors for individuals, SMEs and large corporations. We are proud to say that some of our work has been used to manufacture garments and uniforms worn by charities, celebrities and the (British) Royal Family. We have worked with customers from around the world - located in the UK, USA, Europe and Australia. 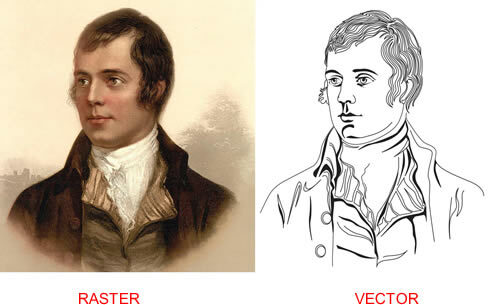 We only hire vector redraw designers that have experience in the print industry. We believe that only a designer that has had a breadth of manufacturing experience is best placed to create a vector as they need to understand the final use. Anybody can claim that they have a few years vector redraw experience. Most of our designers have at least 10 years experience meaning that we can redraw vectors that are not only high quality and suitable for use - but we can redraw them quickly (meaning we can keep our costs low) and try to think a few steps ahead to future proof what we redraw. We like to ask questions to future proof vectors - things that our customers have mentioned they never thought about but found extremely useful and money saving in the long run. We are commited to excellent communication. Emails are answered promptly and we would let you know if a query may take longer than normal to answer (for example, if we are awaiting a specialist designer to review your submitted artwork). Our phone numbers work. You can ring them and speak with somebody during our opening hours. If you get through to voicemail then we encourage you to leave a message as we will get back to you. We will always try and call you if we have enquiries (AFTER observing the timezone you are in). We find that complicated queries - where jobs have to be customised quite a lot are better served by speaking to each other. This is much faster than emailing and can stamp out assumptions very quickly. Whilst our office phone number is open during the hours stated here, we have almost a 24 hour operation (we have to to support customers based around the world). We have dealt with express orders that have come in at 8pm and delivered the next morning. Customers appreciate this service as it reduces delays in the printing of the vector (or any other use of the vector) as we can turn around high quality vectors quickly. 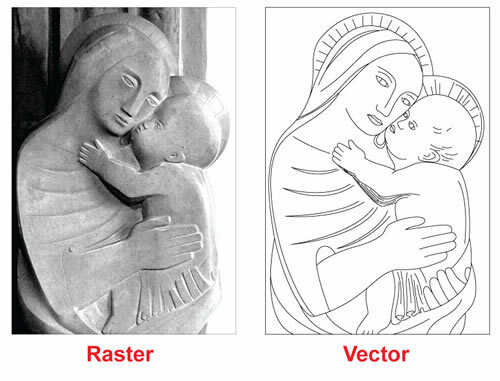 Multimillion pound companies use us as their only vector redraw supplier. Our work has been printed/engraved on to material worn by the Royal Family. If we say we will deliver at a certain time. We do it. This can sometimes be daunting if you are placing the order late in the evening and waiting for it to be delivered the next morning - or sometimes that night. However, we have never been late in delivering. We understand that people's reputations are at risk (they are either the manufacturer or the customer who needs to get something printed quickly for a major event). People sometimes wonder why we charge the low rates we do, considering that we are a UK company. When you have a dedicated pool of experienced staff who can produce a vector in usually half the time as their counterparts without compromising on quality - this gives us an edge - that we want to pass on to benefit our customers. Having difficulty submitting your quote request? You can email your quote request, including design(s), to sales@printanyfile.com. "Yet another smooth, fast and efficient job. 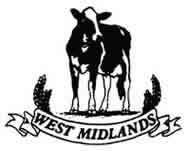 These guys just do it - makes life so easy!" "I ordered an image to vector conversion, their customer service, and overall service performance was very swift and prompt, it felt and was a safe transaction on their website and email response, and a top quality product, produced all within an hour......Top marks to PrintAnyFile. I will definitely recommend them and use them again if i have a need to. Thank you"
"The Vector files I had produced for my two logos, from powerpoint slides, were great. Just what I wanted. They turned them around really quickly, let me do two quick changes to the proof and I'm really happy with the final product." "Great service for my image to vector conversion. I don't know how they do it in the timescale"
"I found it very easy to select what I needed and to upload the file. When I promptly received my proof there were two minor changes that needed to be done. These were done straight away and the EPS file sent back to me. Very efficient." 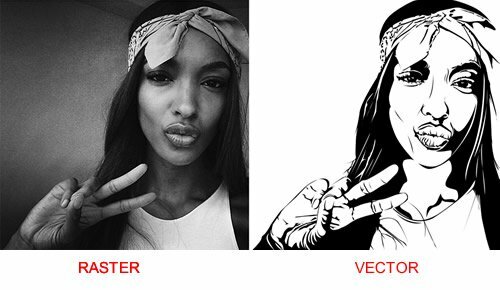 "Really good vector redraw service delivered in time." "Great redraw from JPG to EPS. Fast turnaround and spot on quality." prompt attention and when slight alteration required this was done very quickly"
"Excellent customer service and quality is great. Delivered exactly what was wanted in the time specified. Highly recommended. Would definitely use again." "I had a hand-drawn design for a two sided token which I was hoping to get produced in the form of aluminium tokens. It was something which I wanted to get perfect as I knew the tokens would be around for a long time and I wanted them to be of comparable quality with other coins and tokens. I looked at several graphic designers, but Print Any File's website attracted me, because it seemed easy to use. 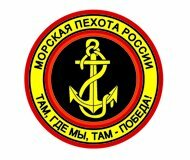 The fact that they asked whether the design was going to be used for embroidery or for engraving made me feel that they were the right people to help me with the design for my tokens. I was very impressed with the proofs that Print Any File were able to produce in a matter of a few working days. The design was quite complex and needed to be tidied up and improved in various ways. Bearing this in mind, the end result was excellent value for money. Once I had approved the proof, the vector files were supplied almost straight away. " "We ordered a redraw to Vector for our very blurred logo and also a jpeg image. Customer service was brilliant and we received exactly what we wanted in super quick time. Website was easy to use and emails received had very simple and easy to understand instructions. 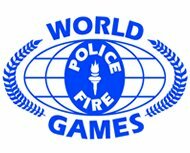 PrintAnyFile scores 98.7 out of 100 based on 243 user reviews. Is an EPS a Vector File? 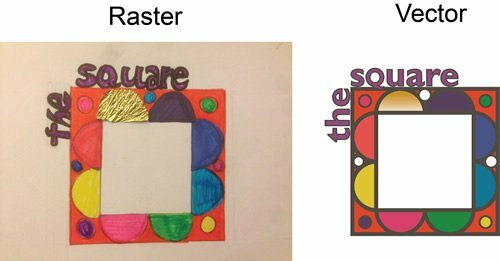 What is the difference between a Raster and a Vector?